Recreational cannabis legalization began Oct. 17 in Canada, and despite the federal government’s public statements, in the intervening months, the country is grappling with massive supply shortages, according multiple people running companies or working in the sector. 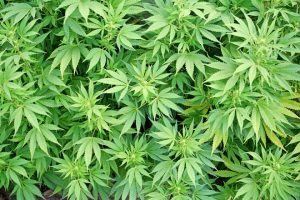 Provinces have blamed the licensed cannabis producers for the lack of available product, yet the weed producers have said that the shortage and weak September-quarter earnings are a result of licensing backlogs and provincial buyers placing small orders. The downturn could be a problem for Aurora ACB, -5.21 %, ACB, -3.12% especially, which has said it expects sales of C$50 to C$55 million ($37.6 million to $41.4 million) and reports Monday after the opening bell. While Aurora’s portfolio of pot stocks generated large profit in September-quarter results, it could report massive losses this time around because of the sector’s descent and its specific holdings. Aphria Inc. APHA, -8.31% APHA, -5.92 %, which is the target of a hostile takeover bid, and Organigram Holdings Inc. OGRMF, +2.70% OGI, +3.20% reported results in January.